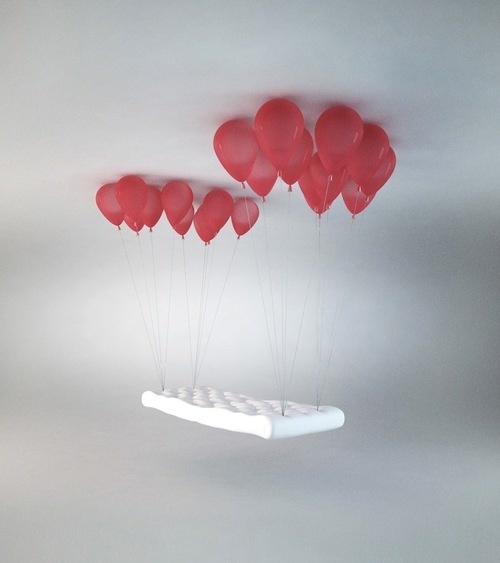 Visually inspired by the feeling of floating that the main character felt in the French movie, “Le Ballon Rouge” (1953), Japanese design firm h220430’s Balloon Bench appears as if it’ll float up, up, and away! This fun take on a bench would be a great addition to your living room or perhaps an office waiting room. The plastic balloons high anchors in the ceiling to support the bench and the weight of you and your friends sitting on it. It’s a pretty cool idea.